Stills of Surprise member Kang Tae-oh in the new MBC drama "The Greatest Couple" came up online. The stills of Kang Tae-oh show him lovingly gazing at his girlfriend Kang Min-kyung and smiling brightly. He looks like the most ideal type of a boyfriend who is caring and warm-hearted. He made a good impression as the character of Heo Dong-goo in the drama "The Queen's Flower". In "The Greatest Couple", Kang Tae-oh has a sense of justice and is respectable to his elders. He is a good son with lots of smiles and laughter. He loves Ah-reum (Kang Min-kyung) and thinks of her as his happiness and stands in conflict with Baek Kang-ho (Kwak Hee-sung). Kang Tae-oh debuted with the 2013 drama-toon "See You After School - Drama" and then starred in an MBC drama called "Drama Festival - Save Wang Jo-hyeon" and earned the title ' the 2nd Nab-deuk'. He also had the honor of winning Best Actor at an awards show in Vietnam for the first time as a Korean actor and foreign actor in Vietnam. Meanwhile, "The Greatest Couple" starring Ha Hee-ra, Jung Chan, Kang Min-kyung, Jo An, Kwak Hee-sung, Kim Yoo-mi-II and others is starting on the 7th of December. 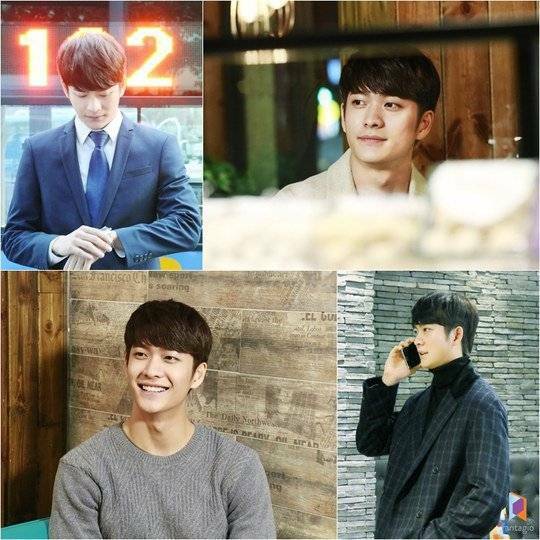 "Kang Tae-oh's stills from "The Greatest Couple""